As time passes, so too does fashion . . . for the most part. Some fashions are so prominent, so recognizable, and so iconic that they remain popular throughout the generations. This is particularly true of shoe fashions. Over the years, a number of different shoes have caught the public’s attention, some for good reasons and some for . . . not so good reasons. Without further ado, here are 10 of the most iconic shoes of all-time! Some of the shoes reviewed below are typically worn by men. Others of the shoes reviewed below are typically worn by women. Regardless, they all have on thing in common: they’re iconic! It’s impossible to overstate just how iconic Converse Chuck Taylors really are. Invented in 1922, they were originally invented to be worn as basketball shoes. In fact, throughout the 1960s, they were the most popular shoes in the game. Though they lost some popularity in the 1970s, they regained it in the 1980s, this time for their retro, vintage appeal. Since then, Chuck Taylors have been worn by human beings of all kinds, from kids to adults to women to men to athletes to rock stars and everything in between. In short, these just might be the most recognizable shoes ever devised. Shoes can become iconic for a number of reasons. 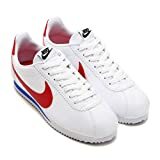 In the case of the Nike Cortez Classics, the movie Forrest Gump was to thank. 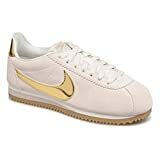 Forrest can be seen wearing these 70s running shoes throughout the majority of the movie. His shoes, in particular, are severely worn down due to excessive use. Nonetheless, they still emit a certain vibrancy and charm. When the Wizard of Oz hit theaters in 1939, it was one of the most innovative movies ever made. Due to its neverending popularity, much of its imagery has since become iconic. Today, no one piece of Wizard of Oz imagery is more iconic than Dorothy’s sparkling red slippers. This pair of slippers is one of the most sought-after pieces of movie memorabilia in existence. There are several pairs floating around, one of which sold for approximately 2 million dollars in 2015. While these shoes never caused young kids to start wearing red slippers by the millions, they are still undoubtedly iconic. As hip-hop was growing in the 1980s, it was in desperate need of an aesthetic. This aesthetic was delivered swiftly when Run-DMC hit the big time in the middle of the decade. Group members sported matching clothes, including bucket hats, gold chains, jumpsuits, and — last but not least — Adidas Superstar sneakers. It didn’t take long until Run-DMC’s fashion choices were rubbing off on hip hop fans. Soon, everyone and their brother (and sister) was wearing the Superstars. To this day, these shoes continue to be a cultural icon. When Audrey Hepburn hit the movie scene in the early 1950s, she was regarded as something quite different from other actresses. Whereas most other Hollywood actresses were seen as buxom bombshells, Hepburn was seen as the petite, sophisticated girl next door. As such, her wardrobe was a little different than what viewers were accustomed to. Instead of wearing dresses, she wore pants. Instead of sporting long, wavy, blonde hair, she sported a brunette ponytail. Instead of wearing high heels, she wore flats. In fact, it was Hepburn’s flats in the 1957 movie Funny Faces that really shot the shoes into the stratosphere. From that point on, they were a mainstay in western female fashion. Not since Babe Ruth had the sports world seen an athlete as renowned as Michael Jordan was during the 80s and 90s. In fact, due to his worldwide appeal, Michael Jordan might have been even more popular than Babe Ruth. Due to his seismic popularity, MJ’s style choices inevitably rubbed off onto fans the world over. 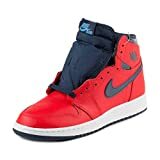 Herein lies the icon of the Air Jordan 1s, Jordan’s first Nike-manufactured basketball shoes. Originally manufactured in 1985, their spawn continues to dominate both basketball and men’s fashion in general to this day. Some people love them. Some people hate them. Regardless of how you feel about them, there’s no way you can overlook the cultural impact of Crocs. Though they’ve only been around since 2002, Crocs foam clogs have already sold in massive numbers. At the present time, approximately 300,000,000 pairs have been sold. Appreciated more for their comfort than for their aesthetic, Crocs just may stand the test of time. 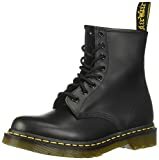 If you were conscious throughout the 90s, you’re probably well aware of what Doc Marten boots are. These boots were massively popular amongst grunge bands, perhaps most iconically being worn by Pearl Jam frontman, Eddie Vedder. However, Doc Martens weren’t and aren’t exclusively worn by grunge bands. Both men and women from all time periods have worn them, combining them with everything from shorts to pants to dresses and otherwise. Through the first half of the 20th century, narrow heels were the most popular heels in existence. That all changed with World War II when mass weapons manufacturing made it difficult for shoe manufacturers to secure sufficient enough steel. This is when the cork wedge was brought to life. Invented by Italian shoemaker Salvatore Ferragamo, the cork wedge was and continues to be a unique replacement for the standard high heel. Looking to buy cork wedges? You can find them at this outlet. Though they were first worn by Australian sheep shearers in the 1920s, Ugg boots didn’t really start to catch on in popularity until the 1970s in the United Kingdom and the United States. A staple of surf culture, they soon became a symbol of rebellion and counterculture. 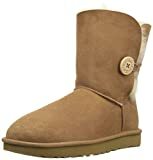 These days, Ugg boots are a fashion standard, strangely notorious for their “ugly” appearance. They’re now primarily worn by women. There have been billions of shoes made over the years. While a good many of them could be described as iconic, only a small few could be described as the most iconic shoes in existence. Those shoes are the ones reviewed above. Looking to find some shoes of your very own? If so, Shoeholics Anonymous can help. We offer advice on everything shoe-related, ultimately helping you to choose your best pair. Sign up for a free membership now!